Yesterday, I went to Glasgow to be a guest on Frank Skinner’s talk show, Opinionated. I’ve been doing bits of radio and TV lately in the hope of raising the profile of my little poker memoir - although somehow, on the Frank Skinner show, even though we specifically discussed the subject of women in male-dominated sports, I completely forgot to mention the book. I’m such an idiot. It’s lucky I never went into PR for a living. Still, I enjoyed the show; Frank Skinner is a big hero of mine and you must absolutely read his memoir, even if you never read mine. It’s a great read. The other guest was Greg Davies, whose comedy career I didn’t know much about but I’m a huge fan of his performance in The Inbetweeners and was very pleased to find that he’s a really nice and funny chap in real life. And six foot eight! Most impressive. He told me he is, officially, the height of a standard British doorway. I like the idea of a man being the height of a standard British doorway. Technically, Opinionated is a comedy show, but it’s properly discursive and chatty. It’s not the kind of show where you feel terrified that you’re meant to turn up with a lot of prepared jokes that you can’t think of. You really can just talk, like a normal person. I don’t know if I was any good on it, but I definitely wasn’t silent. Afterwards, one of the producers told me that I was the first person who’s been on that show who isn’t a comedian. I really hope he meant that in the sense of professional career - not that this was the only thing running through his head during the recording. Anyway, it’s on tonight at 10pm on BBC 2. If you watch, I hope I don’t turn out to be rubbish. And if I do, well, I hope you enjoy the others. Not only were you witty, interesting and funny but incredibly attractive as ever. Saw the Skinner show. He’s a hero of yours? He’s a tw*t.
He pretends not to be sexist just so he can tell some sexist ‘jokes’. Ditto ageist, racist, etc. I’m glad you stuck up for yourself and others. razors I think you’re too hard on Frank Skinner there. He has a very warm way about him and never struck me as a hotbed of bigotry! He used to do very blue jokes and maybe was a bit sexist but in quite a harmless way I think, he always has women on his show, he isn’t holding back female progress (the bad kind of sexism) just makes oldfashioned jokes sometimes. Racist? Not at all. Was it because he was asking if he can make Chinese jokes? It was a joke about jokes! He’s a comedian. I’ve always liked Frank Skinner and find him very funny, I’m very glad he’s back on TV regularly. You were absolutely solid on the show, however i am kicking yourself for not mentioning the book! Seriously that was one of the main reasons you were there, surely. Opportunity missed to be sure to be sure to be sure! Anyway enough about you. I have mentioned you on my website and linked to your site, if that’s ok with you? Enjoyed the show, but with two guests 30 minutes is too short. Frank likes to talk (it is his show) and he brings in the audience. Better he just had you as his sole guest, then you might have remembered to plug your book. You were enchanting as always and I’m sure your presence is likely to generate interest in your book even though you didn’t mention it. Google and all the Victoria related goodies it generates will do more for you than any awkward plugging. I watched it yesterday, and thought you came across really well. Your point about women going to university being a form of social mobility was spot on! I also heard my parents saying they’d have to watch it because you were on and they thought you were intelligent and funny. I clicked the iPlayer link but I get a message saying “Not available in your area.” It can’t be watched in the U.S. apparently. I’m sure you were good Vicky. thought u were bit boring on skinner.but not the best show and im hurt u dont email me back! joking. but u looked great. Greg Davies’s ramble about his father cutting down some trees will remain long in the painful memory as about the dullest story ever told on television. Mind you, compared with the droning smuggery coming from Skinner it was a narrative of compelling genius. If you were on a programme discussing the economic woes of Romanian bee-keepers I would watch, because you are you. But I would as soon eat my own eyes as give ‘Opinionated’ another go. Really liked your wit - however you’ve now got me started on the whole gender issue. How you can aspire to be a feminist and still like people to open doors for you and pinch your rear? Also, I hope you don’t condone the ‘redressing the balance’ by the oppressed – two wrongs can never make a right. Rather perversely, whilst I always supported women’s rights and hate male chauvinism, I equally despise most feminists (and I’m not saying you’re one of them), who think men are inferior, never disapproving of any rules which discriminate against men e.g. pensions, whom they see as an enemy to be attacked at all times. I object to the word as much as anything else as it itself smacks of sexism. Finally, do you have Russian or Scandinavian ancestors by any chance? palladias: I thought Greg Davies was really funny! Literally everything he said made me smile or laugh, I’m going to look out for him more now. It was a sweet story about his dad and the trees. @Razors et al, I’ve read Frank Skinners autobiog and it does reinforce that he is a bit of a sexist pig (don’t see where you get any other prejudice from him though). But on the other hand it also highlights that he is an intelligent and eloquent wordsmith. I don’t agree with all his views - but I like the way he expresses them. Similarly, I don’t agree with all of Germaine Greer’s views, but the intelligence and wit she displays when making them known highlights the point that you can still like and admire people you don’t agree with. And obviously there are plenty of opinions they both have which have nothing to do with sexism/feminism which are more than easy to agree with anyway. I find it refreshing that some people still have an opinion, whether it is right or wrong, whether i agree or disagree or can’t be bothered to do either. It sure beats talking to the splinter bum fence sitters. See you at the tables Victoria. 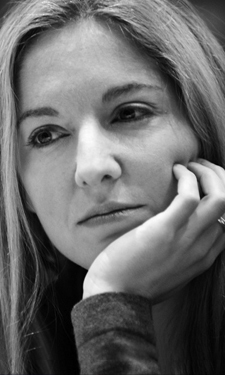 I wonder if Victoria Coren is aware that she actually is THE sexiest woman on earth? I’m afraid it was (rubbish). Not your fault though. My wife and I only watched it because you were on. We viewed the whole thing in embarrassed silence. The pathetic jokes; the stooges in the audience, I’m only surprised Frank Skinner didn’t drop his trousers; I’m sure it would have brought the house down. I suppose the issue with Frank’s show is the formula is too embryonic. Is it a chat, comedy or opinion show? We want to put our grubby fingers on it and label it. Yet it is quite uncontainable at the moment. I first became aware of you on The Bubble, and your appearance on Opinionated was the same for me. It goes along the lines of, ‘woah, finally someone intelligent who can make me laugh because of their wry thoughts.’ Not the usual BBC re-hasher of the same old jokes. More like a living Evelyn Waugh or Kingsley Amis than anyone I have seen on the box. You remind me of a better time, when people had originality and humour spilled out from that. I also like your desire to be a ‘proper feminist,’ I bet you have read Foucalt and Marx too. You need to stop smoking the ciggies though. Tut tut! Your contribution was good, but I don’t think this show will last. It just felt flat. Your point about feminism being social mobility was correct of course. You were good on Frank Skinner and you’re funnier than most comedians! Sorry about ‘most’. Also, what do you think of Glasgow? Hi Stuey. I wasn’t in Glasgow long enough to have a proper time there, and I’ve only been once before, but it seemed great to me. A new series of Only Connect is being made at the moment, and will be broadcast later in the year - probably starting in August. England’s women’s rugby team will be buying up copies to study the moves! Just ordered the book after seeing you on both Opinionated and HIGNFY. You definitely have the Coren heritage of being really sharp and quick witted and i’m sure the best is still to come! I am down with the Skinner. I will not lie, when yourself and Greg walked out I was not overwhelmed with the line up. This is not a criticism, you’re just not hugely famous but you are now well known to me as you have unmistakeable charm and general bang tidy cleverness, which I like. Hoorahh! I watched, it was funny as always - Frank Skinner is a Black Country comedy genius and is always good value, if you don’t like Frank Skinner why were you watching ? btw is that your brother shouting shoes at me on the new IKEA ad? Nope, not him. My brother did a Birds Eye ad a few years ago but nothing of that ilk lately.